Dixon… State Representative Tom Demmer (R-Dixon) will be hosting his free Senior Fair on Friday, October 2 from 10:00am to 12:00pm at the Post House Ballroom, 100 West Second Street in Dixon. The event will provide the opportunity for seniors to learn about local non-profits, businesses and state agencies that help improve the lives of seniors. Participants in this year’s free fair will receive helpful guides, literature and other resources from the state, county, and local government. General Assembly staffers will be available to assist constituents with their state government concerns. Attendees are encouraged to sign-in for a chance to win a door prize and to help themselves to free refreshments. 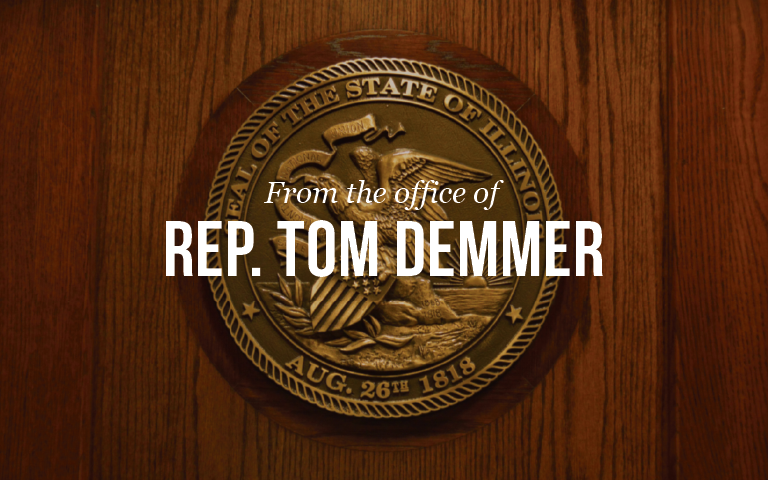 Rep. Demmer can be contacted at his district office located at 1221 Currency Court Suite B in Rochelle or by calling (815) 561-3690.